Carlton Staffing is now hiring for multiple positions in warehouse & production in Southwest Houston. Open positions include Mechanical Assemblers, Machine Operators, Machinists, and other warehouse positions. The SBA offers numerous loan programs to assist qualified small businesses. A key concept of the SBA Lending Program is that the loan originates from a lender, not the U.S. Government. ** Effective FY2014 (until 9/30/14), the guaranty fee is reduced to 0% for loans $150,000 or less. Houston Chinese American Relief Effort (CARE) distributed a year's worth of school supplies to 1,720 students of Benavidez and Edward White Elementary School on Aug 30 at Sharpstown International School. 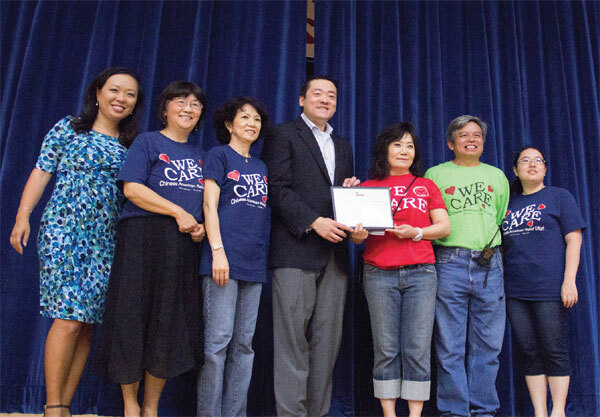 Texas State Representative Gene Wu (center) issues certificates of recognition to Vivian Chen (second from right) and other members of CARE's executive committee. Previously unknown beyond Texas, Houston Baptist University (HBU) has vaulted onto the map with its “10 Pillars” initiative. This driving initiative meets biblical preparedness with worldview and apologetics training, all within a Great Books classical curriculum.